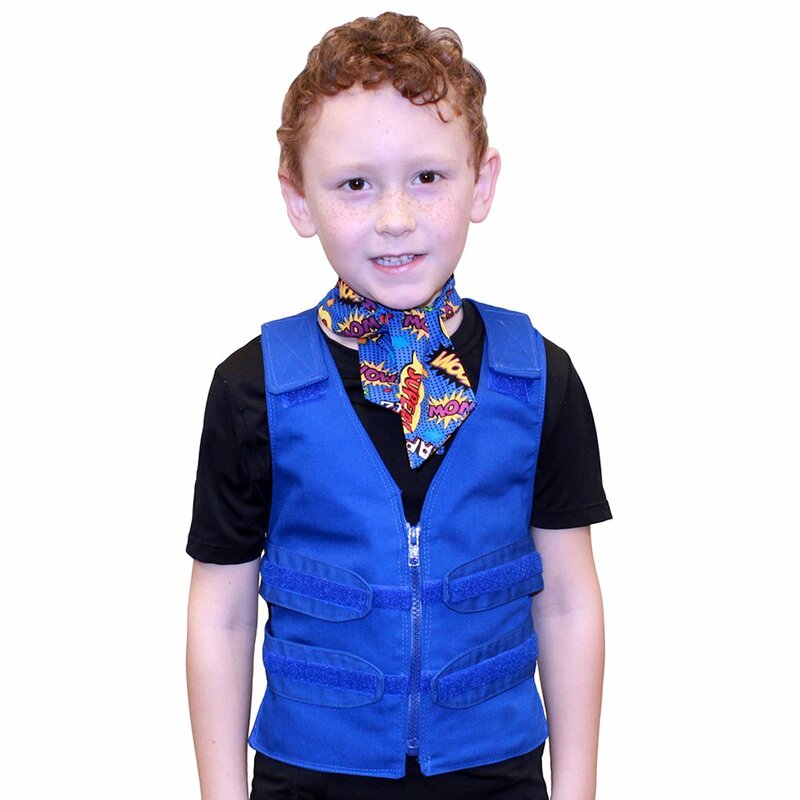 The Cool Kids™ Cooling Vest is specifically designed for children and pre-teens ages 5 - 12. Cool58® Cooling Packs deliver a constant cool and comfortable temperature of 58 degrees Fahrenheit. Click here to save money with a cooling kit! It is important for cooling vests to fit snug to the body for optimal cooling. 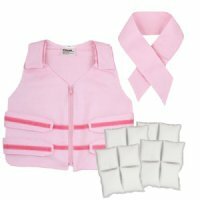 This cooling vest has adjustable hook and loop straps at the chest, waist and shoulders for a snug, comfortable and customized fit. Once the cooling vest has been adjusted for size, it is easy to put on every time with the zipper-pull front. The clean design has no logos or visible pack pockets. Wear the vest over clothing or discreetly underneath. 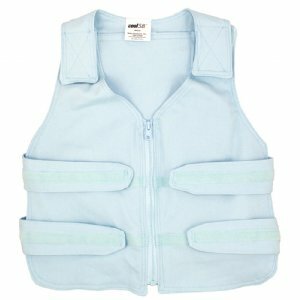 The cooling vest shell is constructed of durable and machine washable 100% cotton twill. Cool58® cooling packs freeze solid at a moderate and comfortable temperature of 58° Fahrenheit (14.4° Celsius), so they can be activated in a freezer, refrigerator, or even a bucket of ice water. These reusable packs deliver comfortable cooling for up to 2-3 hours. (Please note: cooling times are estimates and will vary depending on climate, body metabolism and activity.) 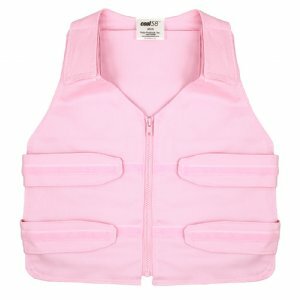 This vest includes four (4) segmented 6" x 6" Cool58® packs. See the size chart for more information. Packs fit into insulated pockets inside the cooling vest. The pockets have a comfortable all-cotton fabric to protect the skin and an insulated outer composite fabric to direct the cooling energy toward the body. Temperature may also be adjusted for comfort by increasing or decreasing the number of clothing layers beneath the vest or the number of packs used. Weight may be adjusted by varying the number of cooling packs used. 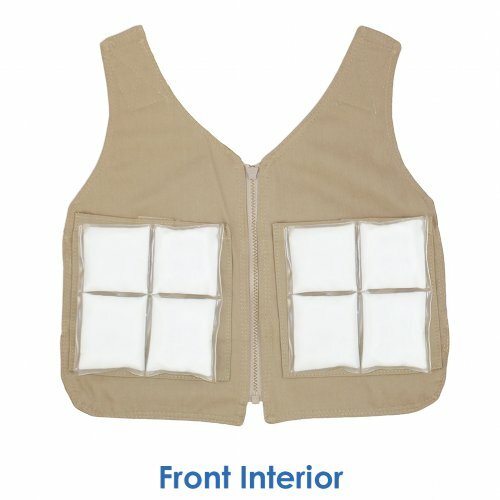 Need a lighter weight vest? You don't have to use all of the packs! 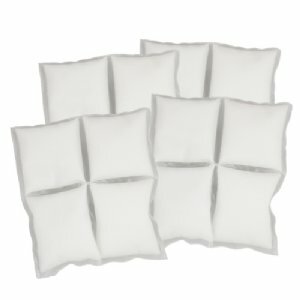 The use of separate, individual packs allows the number of cooling packs used to be customized for each person's preference and size. Some people find that using just packs down the spine works well, while others prefer all of the packs. Our design allows many options! How do Cool58® phase change cooling packs work? Cool58® cooling packs freeze solid at a moderate and comfortable temperature of 58° Fahrenheit (14.4° Celsius), so they can be frozen in a freezer, refrigerator, or even a bucket of ice water. 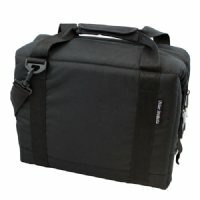 Packs do not require a freezer! 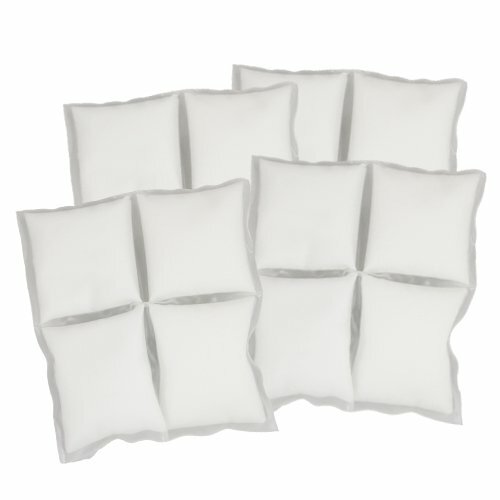 Packs can simply be submerged in ice water or placed in a refrigerator or freezer to activate. 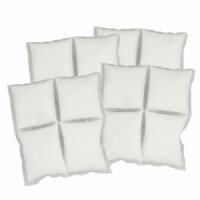 Easy to use - packs can be activated by simply submerging the packs into ice water for up to 20 minutes when access to freezers is not available. Constructed of deluxe performance fabric. Simple and unisex design with a zipper-pull front. Size is adjustable with hook and loop closures at the chest, waist, and shoulders for a snug, comfortable and customized fit. 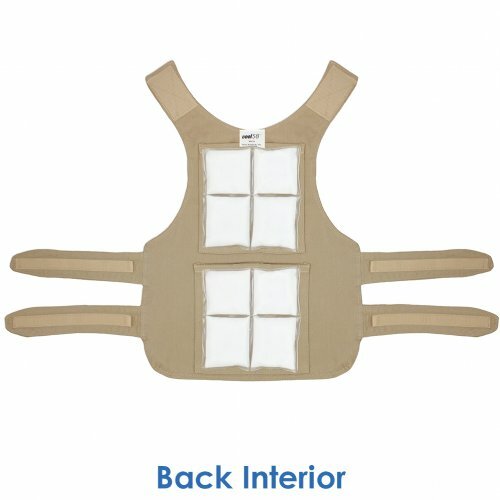 Cooling packs fit into strategically placed pockets the front and back of the vest for maximum effectiveness. The pockets have a comfortable all-cotton fabric to protect the skin and an insulated outer composite fabric to direct the cooling energy toward the body. 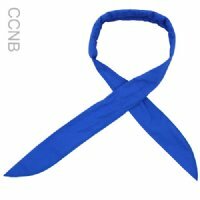 Can be worn over or beneath clothing. Weighs as little as 2 lbs. when using three packs. 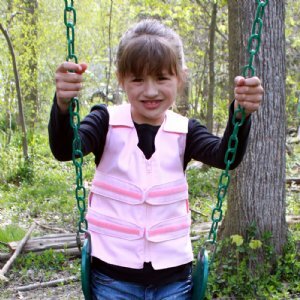 Shop Polar's Cool Kids or Cool Kids Toddler Vest to save money when you bundle a vest and scarf together! Click here to save money when you purchase a cooling kit. Add an extra set of Cool58® phase change packs. Cool58® cooling packs freeze solid at a moderate and comfortable temperature of 58° Fahrenheit. Click here to purchase additional sets of Cool58® packs separately. 15.25" to 17.25" up to 100 lbs. Need a vest for a larger child, pre-teen or teen? 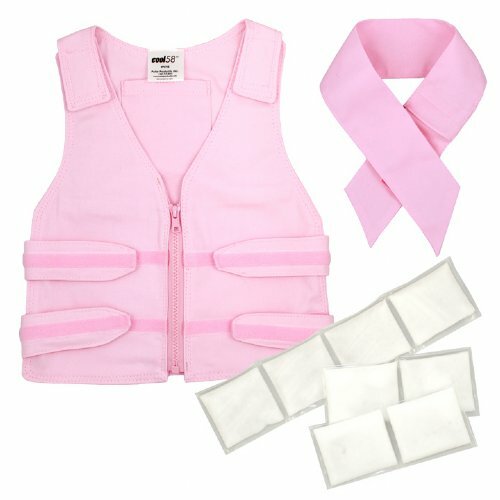 Click here to see our Cool Teens™ Cool58® Phase Change Cooling Vest! Please note: the weight range is simply a guide; there are many exceptions for different body types. The optional extension strap kit includes extensions for the waist, chest and shoulders. This allows extra fit adjustment for large people, extra long torsos or extra large chests or waists on smaller people. Our Customer Care team is here to answer product questions and provide additional details and measurements. Just give us a call at 1-800-763-8423 or send us an e-mail. We are happy to help! 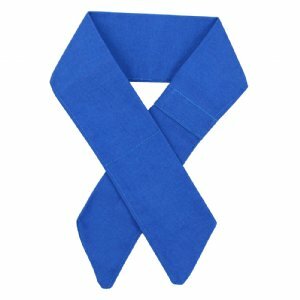 Details: My 6 year old son has Prader-Willi Syndrome and is unable to regulate his body temperature, he wears his cooling vest daily during the summer. This is a fantastic product and I highly recommend it. Details: For my child, his vest is part of his life, and I am very satisfied and very happy with Polar Products! For me you have 10 stars! Thanks for the so beautiful gesture for when the zipper broke you were kind enough to send me a new one. Muchas thank you and I know that my child when older will thank you. Thank you! Details: This product is amazing! Our daughter has CIE Ichthyosis and can't control her body temperature at all. We've been searching for a good vest for 3 years and very happy with this one. The packs aren't so cold it shocks her and stay cool for 3 hours in humid ohio weather! Plus they recharge really quick about 25 minutes! Thank you for your hard work in making a truly awesome product. Now my daughter can play outside like a normal child!! Thanks again from the bottom of our hearts god bless! Details: This was a gift for a neighbor boy (who can't sweat) and needed something so he could go out and play with his brother & friends. He can now that he has this vest. They love it. He just knows he can play now. Details: We have had our vest about a year now. My daughter is unable to sweat and self-cool. Thanks to the cooling vest, my daughter has been able to actively participate in physical education and recess without risk of overheating. It is easy for her to use by herself. She keeps it in a mini-fridge in her classroom and uses it as needed. Thank you so much for your product!